The Indo-German mag with swag! and its immense influence on design. 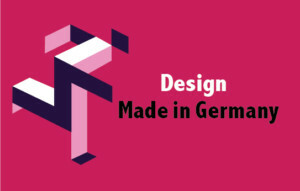 Indian and German designers share their views on German design. one of the most important design schools of the 20th century. “Design is one of the most important contributions for which Germany has a deserved reputation. German products—known for their quality seal “Made in Germany”—are much sought after,” says Dr Ney. Check out these fascinating facts from the world of design. What’s Up, Germany? takes a look at the broad range of design. What’s Up, Germany? pays tribute to the Bauhaus, which has left a legacy that is relevant even after 100 years. Enjoy a pictorial portrayal of Bauhaus classics that have shaped today’s design world. What’s Up, Germany? recollects Indo-German tie-ups in the world of design through the years. Indian and German designers told What’s Up, Germany? what comes to mind when they hear the words German design. While exploring the fashion scene in Germany, What’s Up, Germany? uncovered some interesting things. From cars to kitchens, pens to watches, German industrial design is all about innovation, functionality and quality you can count on. Let's take a look at the exciting interior design landscape in Germany, with a focus on furniture. What’s Up, Germany? gives you an overview of some top design schools in Germany that offer courses in English. Presenting modern German design that looks to the future, from products, alternative materials to buildings. These are a few of our favourite things! What’s Up, Germany? brings you a select collection of things to buy while in Germany. Have fun! Take a shot at this seriously interesting quiz! Very informative and full of knowledge! I have been very interested in Germany since a long time, so I keep visiting the “What’s Up, Germany?” web pages. I like the following pages most: Did You Know?, the Ambassador’s message, Indo-German cooperation and the quiz. This website brings me a glimpse of the “land of ideas”. It lets me have fun while learning. Cruise through the pages. Smile, maybe laugh a bit and enjoy! A good source of interesting information & knowledge on current issues. Since I am interested in Germany, I like this magazine. It also helps me get information about science and technology, which has added greatly to my knowledge. I wishes much success to this online magazine. I really like What’s Up, Germany? since it helps me to gain knowledge. I regularly visit this website, as I am interested in reading the issues released, which provide information on different matters. The quiz is most interesting. It attracts readers and they get a chance to win mugs!